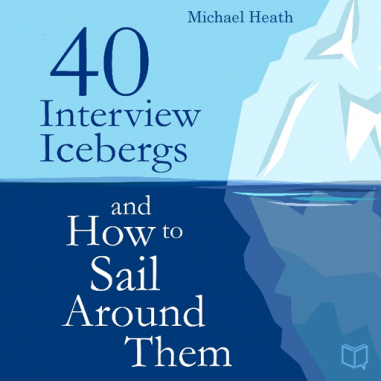 This book lists the 40 most common reasons, the icebergs that all too often send a job application to the ocean floor. But to know that an iceberg is on the horizon is not enough. How do you get round it? That’s why each section has several tips which will help you steer a course to the safety of your port or destination: the job you really want. Read on – and Happy Job Hunting!